Australian author Christine Stinson’s first novel was the marvellously witty and engaging, Getting Even with Fran. That story celebrates the complexity of life-long friendships, centering around a thirty-year Catholic girl’s school reunion. 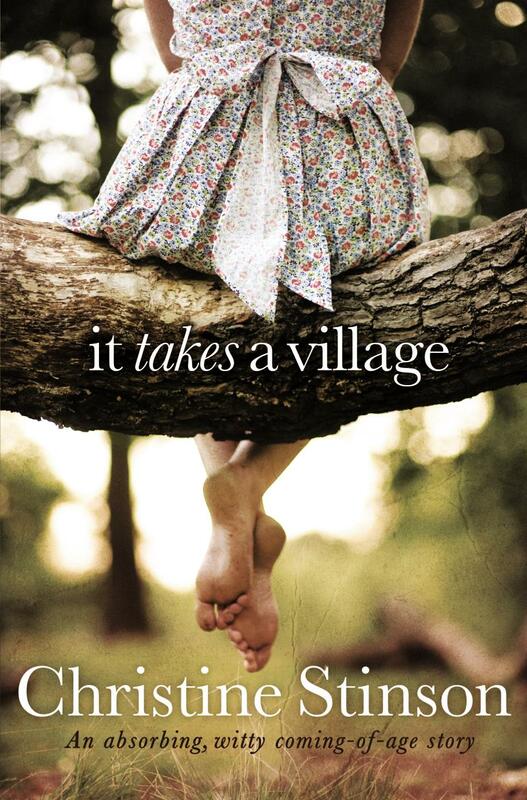 After such a debut, Stinson’s second novel, It Takes a Village, comes as a surprise. Told from the point of view of a young orphaned girl being brought up by her shell-shocked grandfather, It Takes a Village doesn’t have the biting humour of Getting Even with Fran. Rather, it weaves a gentle spell around the lives of the various characters who populate a poor suburb in Sydney in the 1950s and early 60s. In this fictional memoir, Stinson deftly creates a portrait of an Australian way of life long gone. With strict morals and, at times, narrow-minded attitudes, this life also created a sense of compassion and community that contemporary suburban life rarely offers. Having read the story in manuscript, as well as the finished novel, I kept hearing echoes of the sayings and expressions of people from my own Australian childhood, those ancient great-aunts and their companions who have long since passed away. Although It Takes a Village touches on some serious social questions, including the aftermath of the deployment of United States army personnel in war-time Sydney, it doesn’t attempt to provide serious social commentary. Instead it achieves a moving as well as feel-good atmosphere which reminded me of the novels of Maeve Binchey. Given that the second novel was such a contrast to the first, I’ve been fascinated to watch Stinson approach the writing of her third, yet to be published, novel Epiphany (working title). Set in the Blue Mountains, Epiphany revisits the “group of friends” theme, and again conveys the complexity of relationships among contemporary Australian women, this time with the added international flavour of having one of the main characters a leading conductor. The story builds on a deeply moving emotional dilemma which touches many Australian women in their late thirties-early forties juggling motherhood and career, and promises to be ranked among the best contemporary mainstream Australian women’s fiction when it appears. Review of It Takes a Village by Christine Stinson by Elizabeth Lhuede is licensed under a Creative Commons Attribution 3.0 Unported License.